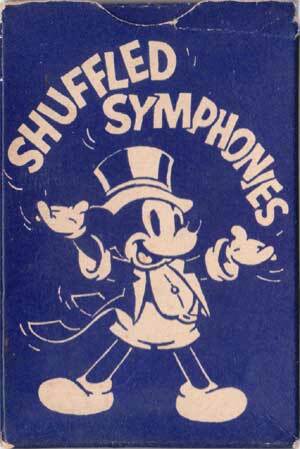 Shuffled Symphonies was published by Pepys Games in association with Walt Disney in 1939, priced 1/6d. 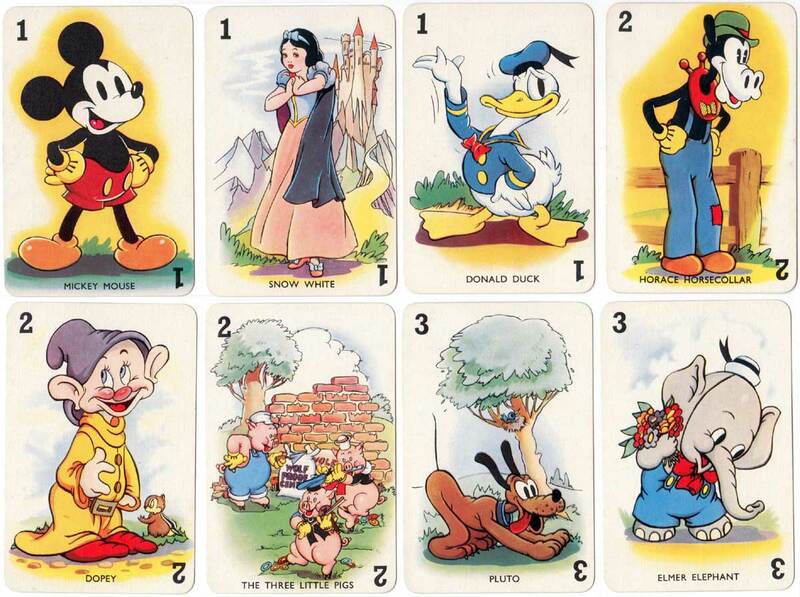 The game features 24 Disney characters inspired by a series of the same name which appeared in Mickey Mouse Weekly comic during 1936-39. 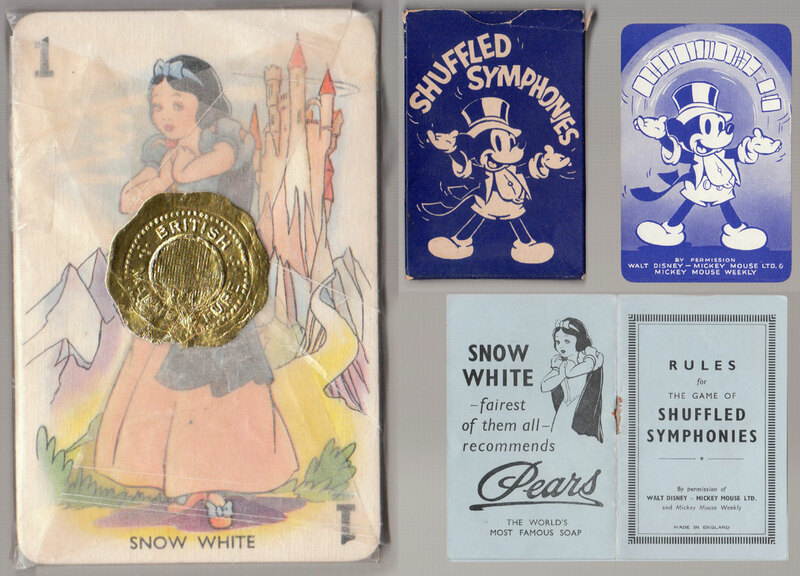 Above: Shuffled Symphonies published by Pepys Games (anonymously) in association with Walt Disney, 1939. 45 cards + rules. Available in red or blue boxes / backs. 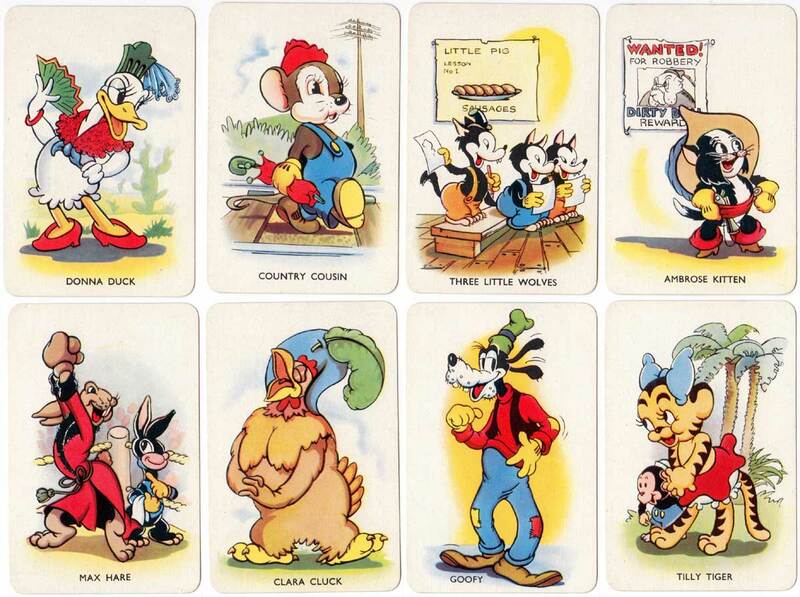 Disney characters include Mickey, Minnie, Donald, Goofy, The Three Little Pigs, The Big Bad Wolf, Elmer the Elephant, Snow White and Dopey and others from the Silly Symphony cartoons. 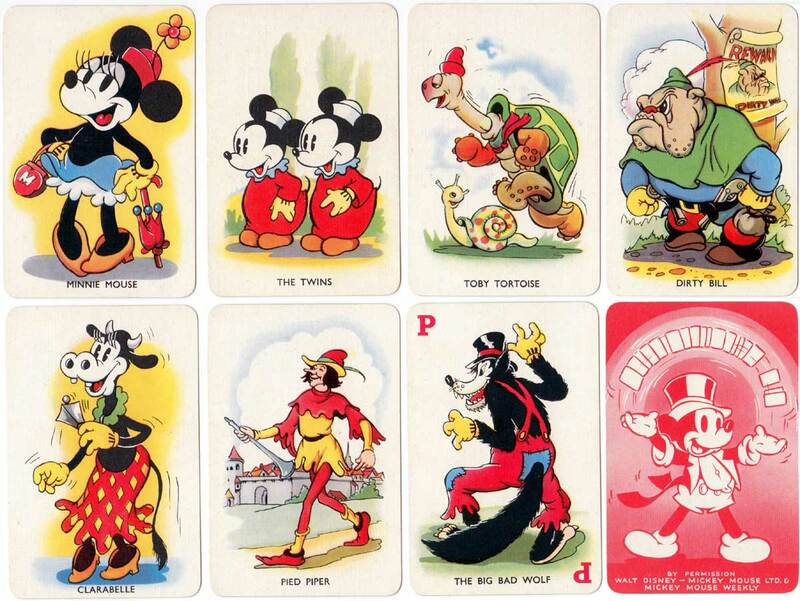 The reverse side of each shows Mickey in a top hat and tails shuffling cards over his head. 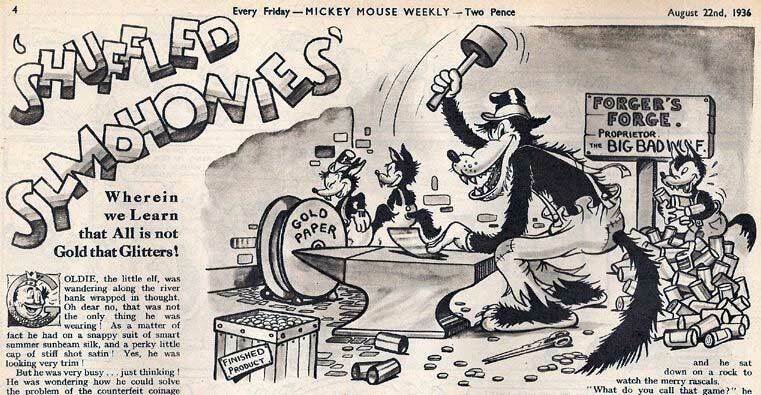 The copyright imprint reads "By permission of Walt Disney - Mickey Mouse Ltd and Mickey Mouse Weekly." Images courtesy Rex Pitts.